Why Do We Need Human-Centered Design More than Before? The human-centered design aims to creatively solve problems by focusing on the consumer behavior and needs rather than their demographics. The approach is currently adopted by different industries as it considered a competitive advantage in the competing markets. Companies are now focusing on their consumer experience as much as they focus on the product deliver. The human-centered design is unique approach as it merges between four main characteristics; it focuses on the user needs (empathic), involves the consumer in the development process (collaborative), believes that we can create a change (optimistic), and based on learning by doing and prototyping (experimental). In our previous article, we explored the Five Principles for Successful User-Centered Design and how to implicate it in the product and service development process. But the question is why do we need the human-centered design? and why is it important? The below advantages have proven to have a positive impact on the company’s innovation and competitiveness capabilities which reflect on business success, value, and profitability. Obviously, You can’t build a solution for a problem without a clear definition of the problem in the first place. People tend to take wrong decisions in their lives because they didn’t take the time to pause and think if they do clearly understand their problems or not, which leads to taking a wrong path that ends with the solution that does not lead to a proper solution. For example, if you are taking a self-development training, you initially need to identify the missing skills before moving forward to the desired learning path that can help you in your career life. Additionally, focusing on defining the problem helps you to eliminate distractors and other choices that don’t directly serve the desired solution. In an experiment I did with my students while teaching them one of the design thinking processes, I asked the students to design a bag for their peers. The majority of the students started directly in the sketching phase. Then, when we repeated the experiment and I asked them to talk to their peers and build a clear definition for the problems thy face with their current bags, their new sketches have totally altered to focus on targeting the problems and solve it in the new sketches. Learning about human-centered design can help you to focus more and more on the human rather than any other approaches such as profitability or technology. The human here refers to the human factor in the process, it can be consumers, employees, or society around us. focusing on the human contribute increasing the satisfaction ratio which will reflect positively on the profitability. One of the successful examples of adapting human-centered design approach is the software giant, Microsoft. According to the British Design Council publication, A Study of the Design Process, focusing on the employees and building a creative environment inside the organization has proven to have a positive impact on their productivity, creativity, and ability to contribute to business success. 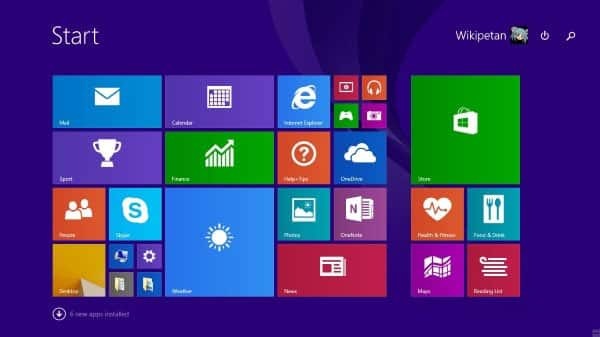 Microsoft has been known for a long time as a technology-driven organization. Now, the company shifted its strategy to be a user-centered through applying a design process that puts the user in the heart of the process. Microsoft moved from technology-centered to user-centered firm (Source: Wikipedia). In order to achieve success and find an effective solution for problems, we should have a clear understanding of the consumer needs and behavior. This helps us to build products and services with our user in mind. The human-centered design is actually part of the design process models such as the d.school design thinking process, the IBM design thinking, and the Design Council Double Diamond process. All these models focus on building and human-centered design by understanding the consumer needs and problems, which usually placed in the first stage. For example, the d.school design thinking model, there are five stage; Emphasize, Define, Ideate, Prototype, Test. The first stage, Empathize, aims to research and collect information about the consumer and the current problem before moving forward to the Define stage that focuses on clearly define the problem. In the Design Council Double Diamond model, the first stage involves the design research and aims to understand the consumer through different research methods. Understanding the consumer is one of the methods that can help firms to achieve innovation by developing new products that target the consumer needs or improve existing products. One of the successful examples in this domain is Airbnb, an innovative enterprise that is based on a co-creation innovation model as users can rent their places for others through their website and application. Airbnb used design thinking to understand the user needs and target these needs through innovation solutions. The design-driven culture aims to engage the consumer in all the development stages in order to provide an effective solution for problems through the adoption of a design thinking process. This target can be only achieved by placing the consumer as part of the stakeholders of the process. 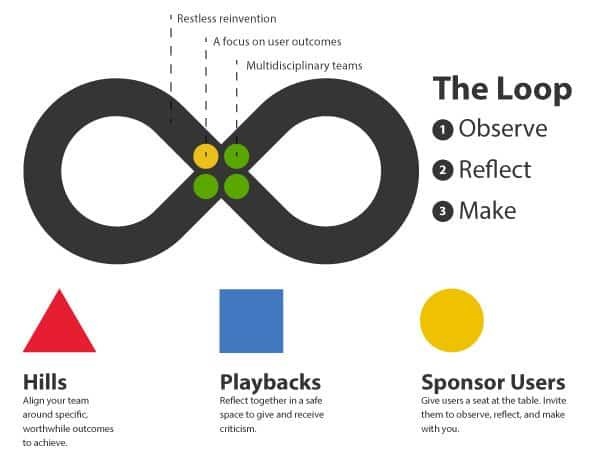 In IBM Design Thinking process, the consumer is added to the heart of the loop as part of the multidisciplinary teams as shown in the below diagram. According to McKinsey&Company, there is an increasing importance to consumer experience as it is hard to separate the two stage of buying the product and using it. The consumer experience becomes a competitive advantage for companies who would like to transform their business or improve their position in the market. For example, Walmart revamped their online shopping experience for their consumers, the visitors of the website increased by 200 percent. Also, when the Bank of America redesigned their account registration process to focus on the consumer, their online-banking traffic increased by 45 percent. The human-centered design becomes more and more important for companies to achieve competitive advantages as we can see many examples of successful stories of innovative companies that put the consumer at the heart of their product development process. The implication of the human-centered process reflects positively on the enterprise by giving it the capabilities to achieve the above advantages that can help the company to be more innovative and user-centered.